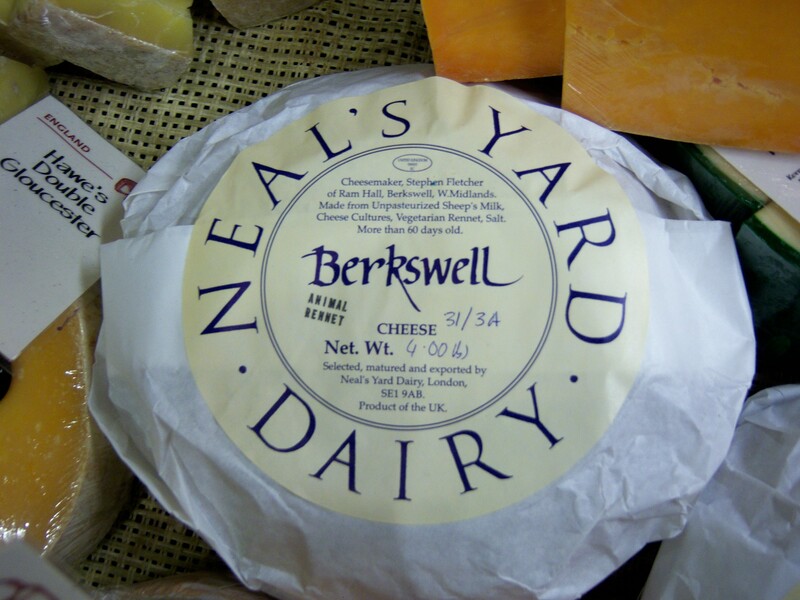 I’m a particular fan of cheese produced by Neal’s Yard Dairy. From the intense Stinking Bishop to the tongue grabbing sharpness of Lincolnshire Poacher this dairy does it all with amazing taste texture. Not surprising that I became an instant fan of Berkswell. 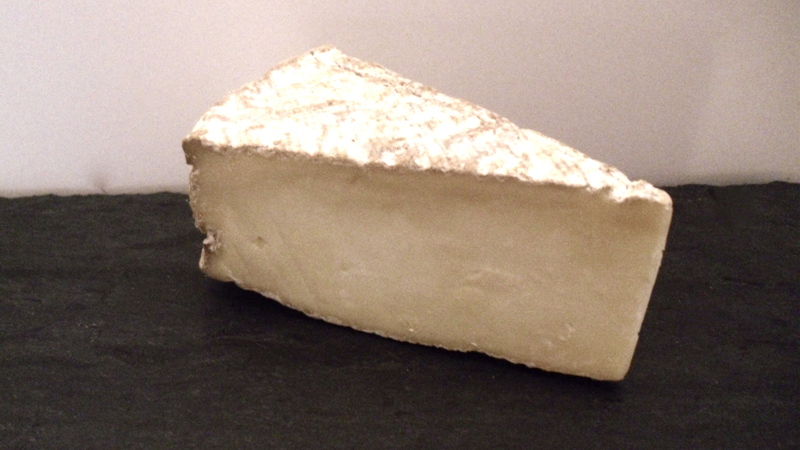 Named for the village of Berkswell in the West Midlands, this earthy cheese is the epitome of rustic country living. Made from unpasteurized sheep’s milk with either a vegetable or animal rennet, the cheese is hand molded and then aged for up to two years. Flavor and texture can vary depending on the rennet. The vegetable rennet has a hard texture with a smooth fruity taste while the animal rennet is milder with a savory palate and harder texture. 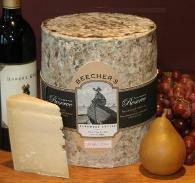 More of an after dinner cheese, Berskwell pairs nicely with an aged scotch or whiskey. For wine lovers, a dry red would be nice. Neal’s Yard Dairy work with seventy or so cheesemakers throughout England and Ireland, giving for one of the most diverse and exciting cheese collections I have yet to find. 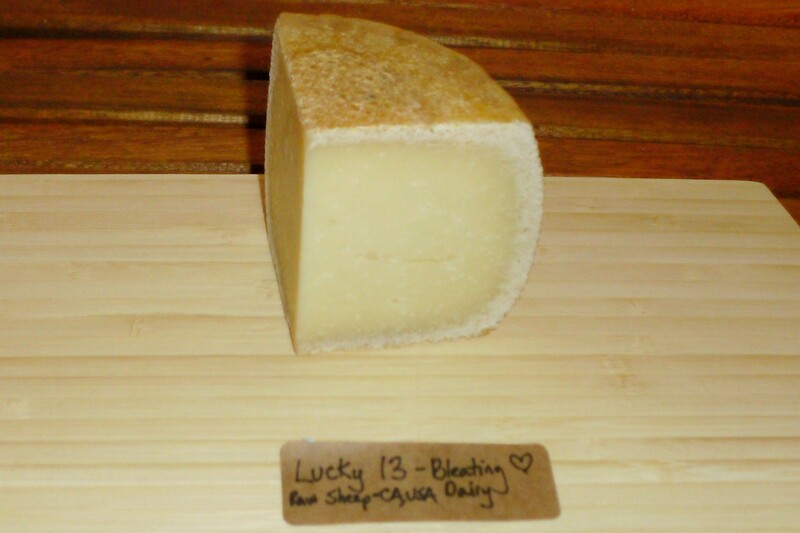 Head out to your local cheesemonger or Whole Foods and get to tasting all this dairy has to offer.